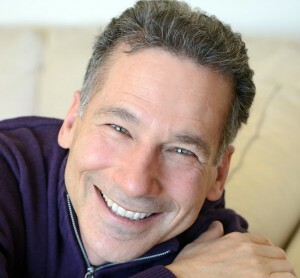 William Ury has stepped in to help with many of the world’s thorniest negotiations: nuclear agreements between the U.S. and the former Soviet Union; the unrest that almost toppled Venezuelan president Hugo Chavez in the early 2000s; and a recent showdown between Brazilian supermarket magnate Abilio Diniz and French retailer Casino. 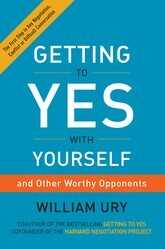 Ury is the co-founder of Harvard University’s Program on Negotiation and author of the 1981 book “Getting to Yes,” a classic text used in everything from marriage counseling to international negotiations. His years of observing and assisting negotiations have taught him a fundamental lesson: often, our most stubborn and challenging opponent is ourselves. That observation is the basis of a new book, “Getting to Yes with Yourself,” which explores the ways we sabotage our own best interests, and how to get over it. Ury cites, for example, our tendency to fire off an angry email to the boss when the more effective thing is to hit “save draft,” take a walk, and revise the note in a calmer moment. He also encourages readers to understand their underlying motives. If you ask for a raise, but really crave the recognition or sense of being valued that comes with getting a raise, a smaller increase along with a new title could work just as well. Ury, age 61, spoke with the Wall Street Journal last week, a few days after his return from Colombia, where he is helping to negotiate the end of a 50-year civil war. WSJ: How did you end up studying negotiation? Ury: I was a graduate student in anthropology at Harvard. Anthropology is the study of human beings, and a major part of human behavior is conflict. I went to talk to a professor at the law school who was working on conflict resolution, Roger Fisher, because I thought it would be interesting to do a doctoral thesis on international negotiations and peace processes. Roger and I ended up writing “Getting to Yes” together. WSJ: What’s changed since that book came out in 1981? Ury: I recently asked a group of business executives, take the ten most important decisions you made in the last year. How many came out of negotiations? They said nine to ten were acts of negotiation. It has become the pre-eminent process for making decisions at work as well as at home and in the community. The basic form of organization has shifted from very hierarchical, where people on top give orders and those below carry them out, to flatter organizations that resemble networks. The form of decision-making has shifted from vertical to horizontal, and that’s essentially another name for negotiation. 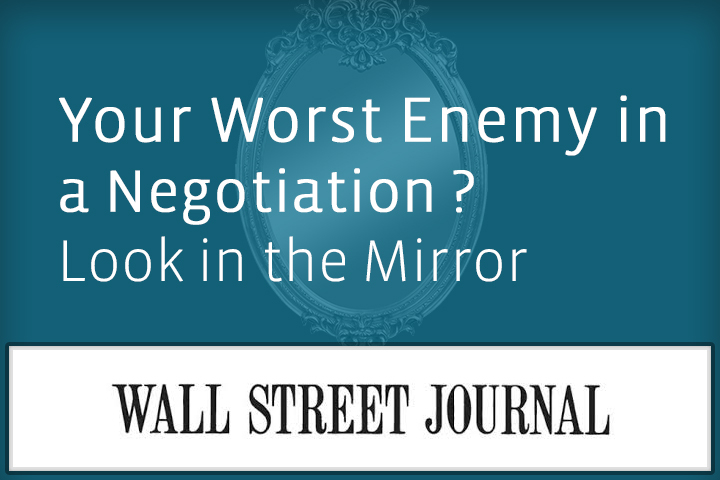 WSJ: Your new book suggests that we sabotage ourselves when we negotiate. What do you mean by that? Ury: We like to blame other people for conflict, and yes, there are people who refuse to cooperate, who use dirty tricks, who are very rigid like stone walls. WSJ: Why are we so easily knocked off kilter? Ury: Human beings are designed evolutionarily to be reaction machines. That’s built in from the time we had to react quickly if there was a big cat in the neighborhood, and that was very appropriate then. But it’s not very appropriate when you’re in a Manhattan office building. I also think we’re under a lot more stress than we ever were before, and when you’re more stressed, you’re more reactive. WSJ: How do you end self-sabotage? Ury: These are things we already know, but maybe we don’t practice them. For example, I talk about ‘going to the balcony,’ which I use as a metaphor for taking a timeout. You have to imagine that you’re negotiating on a stage and part of your mind goes to a balcony, where you look down on yourself. It gives you perspective, self-control, calm. The problem is, when the stakes are high, you’re worried and you get distracted from negotiating your best. Everyone will have their own favorite ways to go to the balcony. I like to get a couple minutes by myself just to quiet my mind and focus on what’s my intention in that situation. Then I find I’m more effective. WSJ: The term BATNA is crucial to your method. What is a BATNA? Ury: Your ‘Best Alternative To a Negotiated Agreement.’ It’s your best course of action if you can’t reach agreement with the other side. So if you’re negotiating with a boss, if you don’t like this job, can you get another one? If you have a serious dispute with a customer or supplier, can you take this up with a mediator or arbitrator or go to court? Every negotiation takes place within the shadow of that alternative. It’s probably the major determinant of leverage or power. And yet what I find is we just focus on getting the agreement and we become so dependent on it that we’re give up anything to get it. So a BATNA gives you a sense of freedom, knowing you can walk away. For this book, the focus is on getting to the inner BATNA, a commitment to ourselves and our basic needs. If you can do that, you can negotiate from a place of inner strength, inner confidence. You ask yourself, who in the end is responsible for meeting my deep psychological needs? Is it the other side, in which case I’m their hostage, or is it me? If you see yourself as highly dependent on the other person, you don’t negotiate at your best. WSJ: That explains why toddlers throw a lot of tantrums. Ury: Toddlers learn to negotiate in all kinds of ways because they’re hugely dependent on their mothers. If you put yourself in your toddler’s shoes and understand the power disparity, then you begin to understand why they act out in such extreme ways. No Replies to "Your Worst Enemy in a Negotiation? Look in the Mirror"